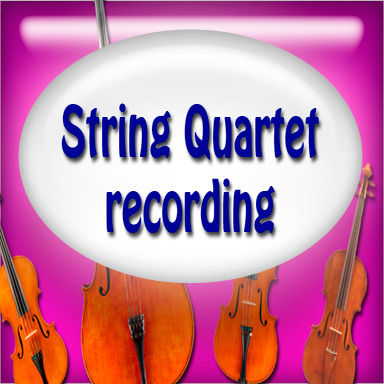 String Quartet recording (Xtrings Studio fee included). Violin A, Violin B, Viola and Cello. One track each (or select to double it!). Please, send the arrangement in individual charts (PDFs). No arrangement? We can make one for you at a super price!